Samsung is launching its Galaxy S9 and S9+ at the MWC 2018 ( not the CES 2018), and there is a lot of hype for these phones as these are most probably going to be the first phones with Snapdragon 845 processor. It seems Samsung is not going to change a lot regarding the design as today, popular leakster Steve Hemmerstoffer aka OnLeaks has revealed the design via the 360-degree Galaxy S9 & S9+ renders. 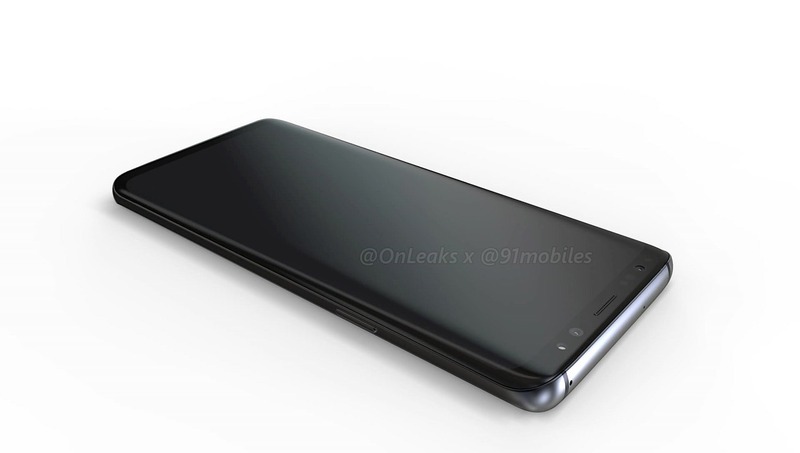 Looking at the track record of his previous leaks, we do not doubt that this is the final design of the next year’s Galaxy S9 & S9+. Well, it seems Samsung is sticking with the design that this year’s S8 and S8+ had with that dual curved display and minimal bezels. The bottom bezel is going to be just 0.1mm slimmer than on the Galaxy S8. On the rear, the design of camera module has changed, and it is good to see Samsung finally changing the location of the fingerprint scanner on the rear. The fingerprint scanner is now located below the rear camera lens, which is far more convenient to reach. There is the LED Flash and Heart rate sensor on the right of the camera lens. Rest of the design is the same with same button placement. 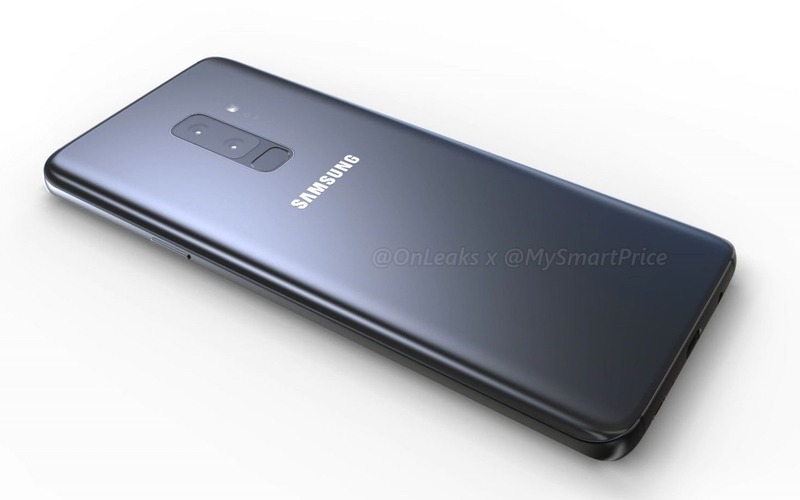 The USB Type-C, 3.5mm headphone jack, primary microphone and speaker grill are present at the bottom.It is good to see that Samsung has no plans to ditch the headphone jack yet. Talking about the Galaxy S9+, we know the phone will be larger than the S9, but there’s also going to be a dual camera setup on the rear as compared to the single camera setup on S9. Rest of the design will remain the same. The display will be around 5.65 & 6.1-inch for S9 an S9+ respectively. As reported before, the Galaxy S9 & S9+ will be powered by a Snapdragon 845/ Exynos 9810 processor with 4GB RAM and 64GB ROM. There could be a 6GB RAM model too (Probably for the S9+). It is also rumored that the Galaxy S9+ will ship with a 512GB variant too since Samsung has started the production of 512GB storage modules for smartphones. What are your expectations for the Samsung Galaxy S9 and S9+? Do let us know via the comments section.